Recently, Lucintel- the US market research organization, released the “2017 Global Non-woven Manufacturers List” forecast list. The “2017 global non-woven business ranking” released this time, the top 10 Non woven Fabric Manufacturer ranked the overall change not too much.Based on a comprehensive analysis of the business actions of companies in this forecast list in 2017, it is not difficult to see that mergers and acquisitions have become the most effective and convenient expansion method recognized by major companies, and more than half of companies are starting or planning to start a new production line. The unlimited vitality of the global non-woven market. In addition, from the view of the global business distribution issued by the enterprise in 2018, the non-woven fabric has been applied in the new field, and the original application market has maintained a healthy development. The enterprises remain optimistic about the industry market. It is expected that the sales volume and profit can continue to grow in 2018 and in the next few years. Main Business: plastic packaging products, medical and healthy supplies, automotive interiors, special materials，etc. 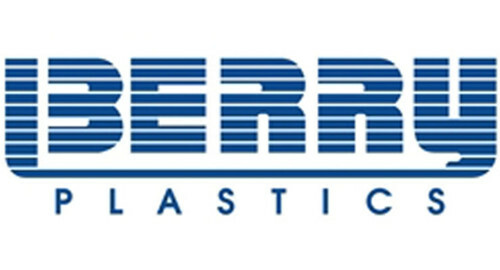 2017 Core Events: Berry Plastics Group was renamed Berry Global and the company launched a new logo at the same time. In June, Berry Global ranked in the world’s top 500 list with 6.5 billion U.S. dollars in total assets, ranking 413th. In November, Berry Global reached a definitive agreement for the acquisition of Clopay Plastic Products Co., Ltd., a subsidiary of Griffon Corporation in the United States, and acquired the latter for US$475 million in price to further improve its health, medical, construction and industrial protective clothing markets. field. By the end of the year, Berry Global had more than 131 factories around the world, including AEP, the leading flexible packaging film manufacturer in North America, which was acquired in January this year. 2018 Development Plan: In 2018, Berry International will invest further in health and medical supplies projects. In July 2017, Berry International announced that it will invest in a state-of-the-art Reifen type 5 (RF5) non-woven fabrics facility. This production line will add 20,000 tons of capacity to serve the rapidly growing Asian market. Mr. Tom Salmon, CEO of Berry said, “Our production line has always maintained a high operating rate, and now we need new production lines to continue to expand our business. This investment is mainly targeted at high-end health and medical applications. The Group is looking for this investment project in China. The best location is expected to begin operations in 2019.” In addition, in 2018, Berry International will install a world-leading soft material production line in the Italian Ternodlsola factory. Main Business: Automotive Interiors, Apparel, Construction, Hygiene Products, Medical, Shoe Materials and Special Materials, etc. 2017 Core Events: In June, Freudenberg Performance Materials’s Freudenberg Medical Group announced the expansion of a 1,200-square-meter production base in Shenzhen, China. The newly expanded advanced production base will further strengthen Freudenberg’s technology and market support to customers in China. In November, Freudenberg Household Products Australia signed a definitive agreement to acquire E.D. Oates company, a subsidiary of GUD Holdings Co.Ltd., to further expand its professional cleaning business. In order to reduce production costs in Europe, Freudenberg decided to outsource the warehousing and logistics business of Germany’s Weinheim company since August of this year, while introducing a new employment model. 2018 Development Plan: In 2018, Freudenberg Performance Materials will continue to take measures to operate through flexibility to respond to changing market conditions and customer needs. At present, Freudenberg is embarking on the development of a new generation of spinning technology that is expected to mature in mid-2018 and will be the first to conduct trial production at its factory in Taiwan, China. Freudenberg is also working hard to strengthen the company’s medical business. The group is developing innovative products for the treatment of cancer, diabetes, and chronic wounds, such as biodegradable wound dressings. Freudenberg will continue to develop safety diaphragms to provide safe power for automobiles and electric vehicles. In 2018, Freudenberg has no major investments in new technologies in the European region, but will improve its existing technology portfolio and eliminate some of its relatively backward production lines. Main Business: Baby care products, adult incontinence products, household life paper，etc. 2017 Core Events: In April, Tianjin’s diaper production base in Kimberly-Clark was completed and put into production. The first phase covers an area of nearly 130,000 square meters, and the total land occupation will exceed 300,000 square meters. The plant introduces Kimberly-Clark’s globally-standardized, automated production line of the highest standards and represents Kimberly-Clark’s global leading technology in the field of professional baby care products. The profitability of the new factory will be reflected this year. In June, Kimberly-Clark announced that with its advanced technology platform, the company and the world’s leading non-woven equipment manufacturers have jointly developed a “unique” high-performance nonwoven production line that can guarantee that the company’s patented products will not be easily Replaced by other brand products, the new production line has now entered the pilot stage. 2018 Development Plan: In 2018, Kimberly-Clark will not only continue to increase the improvement of its subordinate brands, such as improving curious diapers and pull-up training pants line production lines, but also increase investment in wet wipes products by 30% to meet the market demand for wet wipes. The rapid growth. Kimberly-Clark official also recently announced that it will enrich its management team for personal care business in North America and Europe in the second half of 2018, while expanding its business in Asia, Latin America and Eastern Europe. Main Business: Automotive Composites, Filter Materials, Woven Wallpapers, Wipes，etc. 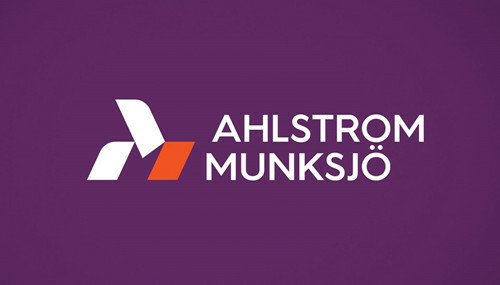 2017 Core Events: In April, Ahlstrom and Munksjo Oyj two companies completed the merger, the name of the new company was changed to Ahlstrom-Munksjo Oyj, and the 2017 sales volume is expected to reach 2 billion 200 million euro. In June 1st, Ahlstrom announced that the price of special nonwovens in the fields of construction, furniture, health, wound care, clothing and other fields was raised by 3%, but the head of the company said it was not worried about the loss of the order because the market demand was still hot. In September, Ahlstrom completed its renovation project in the US factory, and the new plant will be put into operation in the near future. By then, the plant will be able to produce filter products and nonwoven wallpaper materials at the same time, and its production capacity will also increase by 200 thousand tons. 2018 Development Plan: In 2018, Ahlstrom-Munksjo Oyj will deeply merge the two sides’ business, and will also formulate the management mode after the merger. Ahlstrom-Munksjo Oyj also plans to peel off a small number of existing losses and respond to the increasing demand for the wet towel market, such as investing in new production lines. In addition, Ahlstrom will gradually restore its investment in the battery diaphragm area, benefiting from the rapid growth of American battery diaphragm demand, and the Ahlstrom US subsidiary will launch a new product long-term development plan next year. Main Business: Medical Protective Clothing, Industrial Building Absorbent , Geotextile , Graphic Fabrics，etc. 2017 Core Events: In September 1st, DowDupont announced that Dow Chemical Corporation and DuPont Co successfully completed the merger. The new company is a holding company with the name “Double’s DuPont,” and it has three business units: agriculture, materials science, and specialty products. In November, Dow Chemical Company, under DowDupont, expanded the Guangzhou business center. The new business center was used, covering 13 business departments and 9 functional departments to provide services to customers in the field of sustainable packaging, infrastructure and consumer care. In December, DuPont sustainable solutions division, a special product division, was named “the outstanding brand of EHS consulting service market”. 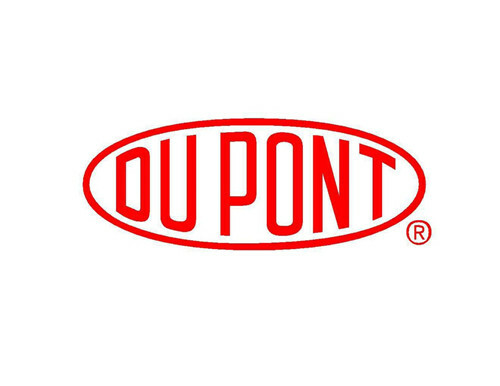 2018 Development Plan: In 2018, Dow Dupont’s focus was to complete the division of agriculture, materials science, and specialty products into three major business units. At present, Dow Dupont’s board of directors has set up three advisory committees that are responsible for leading the establishment of three business units. In 2018, DowDupont will also re-arrange new superior solutions and a broader product line. By integrating the complementary advantages of Dow and DuPont, each planned company will be able to offer more choices with innovative products. React quickly and effectively to a rapidly changing market environment. 2017 Core Events: In June, Johns Manville completed the expansion of its plant in Ohio, USA, and its production capacity of continuous glass fiber composites, building protective materials, and engineering thermoplastic composites increased by about 40%. It is estimated that the annual operating income can reach 90 million US dollars. In August, Johns Manville released Thermo-1200 water-resistant calcium silicate insulation. The performance of this product has been significantly improved compared to previous years, and it has achieved global supply. In December, Johns Manville completed the transformation of three non-woven production lines in Asia, and the transformed plant will become the key distribution center for Johns Manville’s business development in Asia. 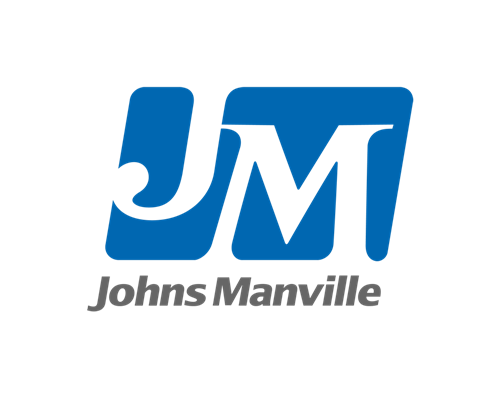 2018 Development Plan: In 2018, Johns Manville will continue to deploy in the Asian market. The company plans to increase sales in Asia by 55% within three years. Johns Manville will focus on the promotion of roof insulation and will promote intelligent integrated solutions for roofing materials with maximum insulation. In addition, due to the gradual recovery of the Eastern European market, Johns Manville will recruit a large number of new employees locally, and dispatch professional technical personnel from the headquarters to the East European branch to provide technical guidance to shorten the design time of the construction plan and enhance the efficiency of the company. Main Business: Disposable hygiene products, disposable medical products, filter materials. 2017 Core Events: In May of this year, Fitesa transformed its Northlaken plant in Sweden. The new plant was put into use in early November and the production capacity was increased by 40%. The company’s responsible person stated that the factory’s production orders have been scheduled to May 2018. . In August, Fitesa launched its latest high value-added medical composite nonwoven in Brazil. In October, Fitesa opened a high-production spunmelt nonwoven production line in Germany. The production line is scheduled to be put into production by the end of 2018, mainly for the German market. 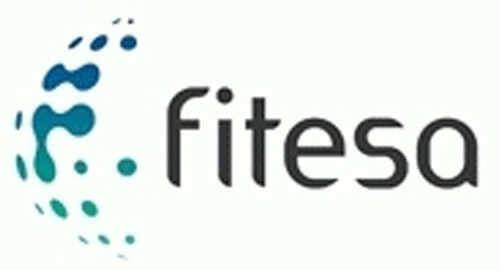 In early December, Fitesa launched a new meltblown line at its nonwovens plant in South Carolina, USA. 2018 Development Plan: In 2018, in addition to strengthening the existing medical and hygiene products market, Fitesa will also focus on the layout of the filter material market. According to the person in charge of the group, due to the increasingly stringent air management system in Asia, especially in China, the market demand for filter materials such as high temperature, smoke and dust continues to increase. From March 2018, the company will conduct in-depth research on the air filter material market in Asia, and hopes to quickly enter the Asian market by acquiring acupuncture product manufacturers or setting up joint ventures to establish subsidiaries. Main Business: Feminine hygiene products, battery separators, packaging materials, etc. 2017 Core Events: From this year, Glatfelter will complete a three-year targeted investment plan at the Ober-Schmitten plant in Germany, which will increase production capacity to continue to meet the highest market requirements for the electrical and cellophane markets. Glatfelter invests more than 80 million U.S. dollars in the expansion of dry paper mills in Arkansas, USA, which will be put into production in the fourth quarter of this year. The annual production capacity of the new plants will be approximately 22,000 tons, which will increase the company’s global dry paper production capacity to 130,000 t/a. . The plant has become the company’s professional production base in the United States and other low-quantity product production centers. 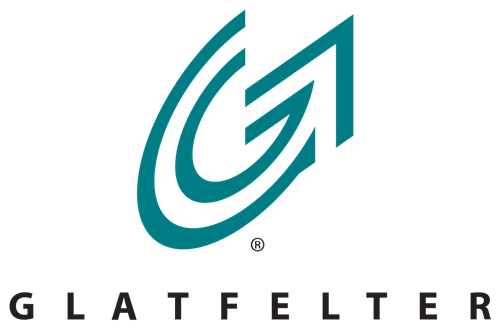 In the third quarter of this year, the profit of Glatfelter’s advanced airlaid materials business grew by 29%. 2018 Development Plan: In 2018, Glatfelter will continue to increase the production capacity of nanofiber-based supercapacitor diaphragm materials to meet the needs of markets in China and Japan. In addition, Glatfelter will further increase the expansion of the health products market. The company’s newly developed superabsorbent fiber composite technology product is planned to be promoted in Asia market in April 2018. The company hopes to use this technology to become the most advanced part of the supply chain from the beginning to the diversification of raw material products in relatively underdeveloped regions such as India. manufacturer. Main Business: Can be scattered wet wipes, medical supplies, etc. 2017 Core Events: From March this year, Suominen began to expand product research and development and management teams at US factories and Finnish factories, and added additional research funding. In June, Suominen’s newly developed advanced customized feminine hygiene care products began to be sold globally. Suominen once again increased the supply of Hydraspun dispersible nonwovens in Europe with the Oslo Group’s Stlldalen joint venture in Sweden on August. In December, Suominen’s new high-production spunlace production line in India began construction. The production line is expected to be completed by mid-2018 and will be mainly used for the production of mid- to high-end health care products, which will provide 200,000 tons of new capacity. 2018 Development Plan: In 2018, Suominen will focus on developing the Latin American market. At present, Suominen’s health care products account for only about 12% of the market in Latin America. The person in charge of the Suominen Group stated that it will increase the company’s share of the Latin American healthcare market by raising profits for potential producers, and pays particular attention to the baby and children’s hygiene products market. Suominen also plans to introduce the wipes business to the Latin American market. 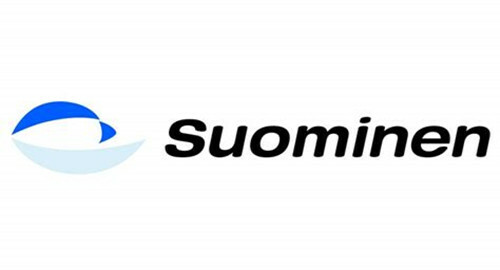 In addition, Suominen plans to restart the heat-bonded nonwoven interlining business suspended in 2016 in mid-2018. Main Business: Automotive interiors, filter materials, medical and sanitary materials, roofing materials, etc. 2017 Core Events: TWE Group completed the acquisition of Vita Nonwovens in the US and Isowood in Germany in 2015. The company’s benefits have been evident since this year. As the production capacity of non-woven fabrics has increased substantially, its status as a supplier in the automotive market has improved significantly. Said that as of the end of November, the company had received nearly 1.5 billion US dollars of automotive composite materials production orders. In July, TWE Group completed the expansion of its Mexican plant and the newly invested plant will focus on the growing demand for locally used cars in the region. In October, TWE Group completed the expansion of its factory in India, which increased its disposable hygiene product production capacity by 35%. 2018 Development Plan: In 2018, TWE Group will re-integrate the company’s business and implement expansion and reconstruction of many European factories. In terms of automotive materials, TWE Group will determine new R&D routes by March 2018 to comply with such trends as reducing fuel consumption and increasing ride comfort of automobiles and hybrid electric vehicles. In addition, TWE Group will start a five-month market research on India from April. The company hopes to add a medical and health products factory in India. This target may be achieved through the acquisition of a local non-woven company in India. It seems the top non woven suppliers are in US & West Europe. That is reasonable because the US&European market has the biggest demand for the non woven products. China also grow very fast in Non woven industry, that’s why the top non woven manufacturer expand their business to China and plan the new plants in China as well. Compare to the leading companies, SourceNonwoven is very small but we are the prospective rookie. Some of the top companies is already our customers.Remeber our Company objective: Give us an enquiry, get back you a smart solution.We never let our customer down with your non woven project.